And now we’re seeing the first demonstration of that – this week, LinkedIn has announced the addition of several new company page functions, adding to the tools it released back in November. 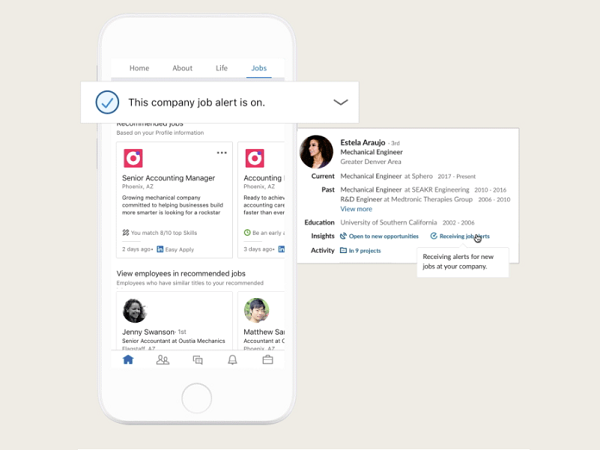 First off, LinkedIn has expanded its job alerts system to help ensure that recruiters at specific companies you’re interested in working for are aware of your interest. The option, as noted, could better connect you with your dream role – if a recruiter is using LinkedIn to fill a position, they’ll immediately be able to access a list of people who’ve registered interest. 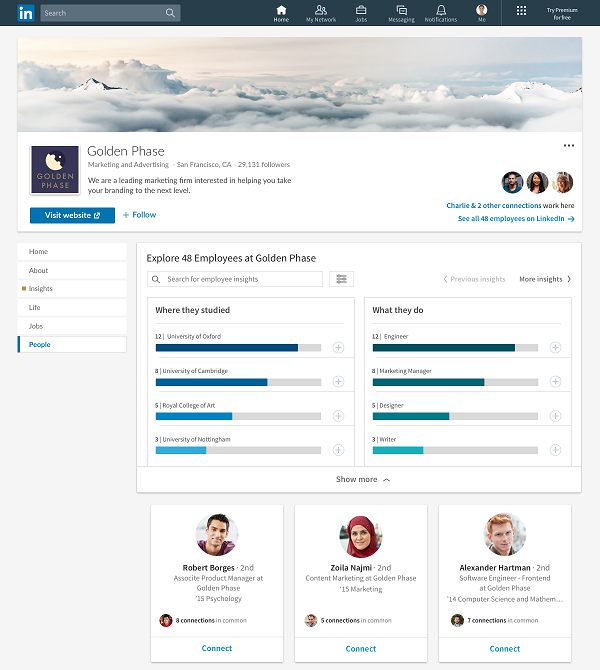 LinkedIn’s also adding a new dashboard which provides insights on employees at each company, which users will be able to access from a company page. As you can see here, the dashboard will show you where a company’s employees studied, what their job functions are, and where they’re based. It’ll also provide an overview of what skills they have, and if/how you’re connected to any of them, which could be your ‘in’. The insights gleaned from this could help provide more insight into what you should be focusing on within your own career if you’re looking to get hired by a specific company, and what skills you need to have to make it in your desired role. The new staff dashboard will be accessible in the “People” tab on the far left menu for any Company Page. Hashtags have also become a bigger focus for LinkedIn of late, and building on this, they’re adding a listing of the hashtags which are relevantto each company, based on its updates and on-platform activity. The option could also provide value in a competitive research sense, with the ability to see what hashtags other organizations are using on their posts, then adding the same to your own to ensure you stay up to date with, and present in, relevant discussions. 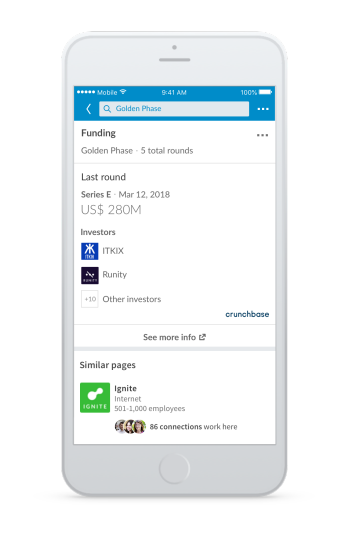 And lastly, LinkedIn’s also expanding access to its Crunchbase-sourced insights into funding and investor information directly within the company page. LinkedIn announced this addition back in November, but it’s still in the process of rolling it out to all users. That’s actually true of all of these updates – while LinkedIn has made the announcement, they’re not available in all regions, and to all users, just yet. LinkedIn will be making them available over the coming weeks – so if you’re not seeing them yet, you will soon. There are some helpful tools here, and its good to see LinkedIn finding new ways to utilize its vast professional dataset in order to provide more relevant company and career information. But there will still be some issues. For example, because LinkedIn doesn’t enable page managers to remove people who’ve listed themselves as employees of a company (at least, without contacting LinkedIn Help), most of the more well-known companies have various staff listed who, in fact, are not employees, and they would skew the larger dataset, at least to some degree. How much impact they might have would be relative to each business, but hopefully LinkedIn finds a new way to clean up its sources to ensure the insights it provides are accurate.